Celebrates 32nd Annual Edible Extravaganza! Center for Human Services’ Edible Extravaganza is back! 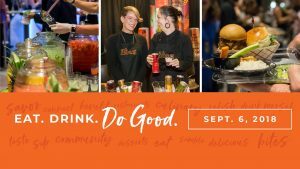 This year, Edible Extravaganza celebrates 32 years as the Central Valley’s most-anticipated food and beverage show. Last year, more than 1,200 people attended this signature event, with this year’s event projected to be just as popular. The 32nd Edible Extravaganza is set for Thursday, September 6, 2018 from 5 to 9 p.m. at the Modesto Centre Plaza in Downtown Modesto withFirst Taste VIP Admission starting at 5 p.m. and general admission starting at 6 p.m.
● Limited First Taste VIP Admission Tickets for $100. With this special ticket you have the opportunity to get in at 5pm, beat the crowds, and enjoy an exclusive reception! 5-6 p.m. First Taste VIP Admission guests can access all food and beverage vendors and VIP reception. All guests can access courtyard reception with live music provided by Koala and the Golden Boy. 6 p.m. Doors open for main event, all guests have access to all food and beverage vendors. Live music in the courtyard by Koala and the Golden Boy continues till 6:30 p.m.
7 p.m. Live music in the courtyard provided Cloak and Swagger till 9 p.m. Along with support from underwriting sponsors Andreini and Company, Save Mart Supermarkets, Valley First Credit Union, and The Park at Modesto, this year’s event will feature the best restaurants, caterers, bakers, confectioners, vintners, beverage purveyors and local growers that our area has to offer. The event will feature a courtyard reception for all ticket holders from 5 to 6 p.m. with music provided by Center for Human Services’ own Student Assistance Specialist, Jordan Waters, and his musical group Koala and the Golden Boy. During that hour, First Taste VIP Admission guests get to sample the food and drinks on the main floor before anyone else. Plus, they have access to an exclusive reception throughout the evening with special dishes and drinks only available to them. The doors to the main event will open to the public at 6 p.m. All guests will get to enjoy samplings of signature dishes and wines created by 50 of the area’s best restaurants and wineries including our long-time favorites like Mobile Mixologist, Dust Bowl Brewing Company, Doc’s Q’in Pit Stop, Skewers Kabob House, Greens Market and many more! Back by popular demand, Edible Extravaganza will also feature Bogart Spirits, Tresetti’s World Caffe and Fuzio Universal Bistro. In addition, local band Cloak and Swagger will perform live music in the courtyard from 7 to 9 p.m.
Tickets are $50 in advance or $55 at the door and can be purchased online at http://www.centerforhumanservices.org/edible, at the Center for Human Services Modesto office at 2000 W. Briggsmore Ave., or by calling our office at 526-1476. Checks, Cash, Visa, Mastercard, Discover Card and American Express are accepted. 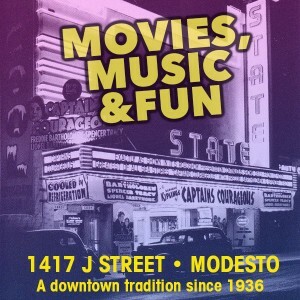 Come enjoy the 32nd Annual Edible Extravaganza, Thursday, September 6th, from 5 to 9 p.m. at the Modesto Centre Plaza. As always, Edible Extravaganza is presented by Center for Human Services, a private, local, non-profit agency, celebrating 48 years of service to Central Valley youth and families. Programs operated by Center for Human Services (CHS) include: shelter programs for homeless youth and young adults – Hutton House and Pathways, Family Resource Centers, Community Counseling Services, Student Assistance Program and more. If you would like more information on the services CHS provides, please visit our website: www.centerforhumanservices.org. CHS is in the business of changing lives, building futures and helping families.